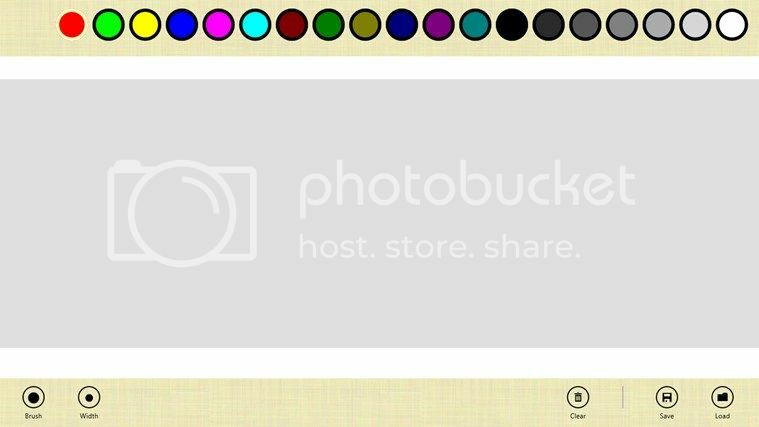 Finger Paint is a Windows 8 application that has been optimized for touch. It can keep your children engaged in playing with brushes and dabbling with the colors for hours. The application lets the kids use their fingers for creating fine artwork . Finger Paint knows when you are using mouse, pen or fingers and modifies the brush width accordingly. Once installed, it gets pinned to the Start Screen as a tile. You just need to tap/click on the app to activate it. When activated, the app starts with a white background and no visual control elements. You can use your mouse or fingers to paint on the screen. A right-click with the mouse button displays options to change colors, brushes, or to clear the current creation to start anew. You get a selection of standard brushes and symbols that you can choose from the menu. These include hearts, stars and other geometric objects. Get Finger Paint for Windows 8 for free. I am just sad that I do not have windows 8 yet. My daughter will surely love it, she love painting.